Karla before: 126 lbs. Karla regularly competed in marathons and half marathons before she signed up with me. A lot of my new clients come to me AFTER they’ve been working out for a long time without seeing results. They may be yoga or spin class fanatics, kick-boxers or fitness class junkies, but they all say the same thing “I’m just not seeing the results I thought I would.” I started thinking about this and realized they all have one thing in common: they’re not lifting weights. Karla after: 112 lbs. After adding weight training and my nutrition plan. In addition she won the Highlands half marathon! Have you ever noticed the most toned people in the gym are the ones using free weights and machines? You may think to yourself “that’s not for me, I don’t need to bulk up. I just want to lose a few pounds and look good in my clothes.” Well, weightlifting is important for everyone. 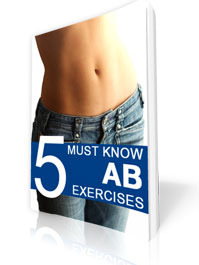 Whether you want to lose weight, tone up, gain muscle definition or just get stronger. Weight bearing exercise is one of the best things you can do for yourself and your body. Don’t believe me? Just ask your doctor. It boosts metabolism, builds stronger bones and more muscle. Your body burns more fat even while at rest. Even a low calorie diet combined with aerobic exercise won’t help you burn as much fat and can even contribute to muscle loss. When you lose muscle, or lean mass, your metabolism slows down. Your weight loss slows down and your body begins to store fat. By increasing your lean muscle mass, you increase your metabolism. The faster you metabolize your food, the more weight you lose. Even when sleeping. Concerned about how to add weights to your exercise routine? Contact me today. I, or one of my world-class personal trainers, will create the right program for you. Get in shape, lose weight and feel great. I know, you already breathe all day and all night. Why do you need to be reminded to breathe? Well, you may not be doing it correctly. Breathing from your chest seems like the logical place to breathe, right? Yes and no. Your lungs are in your chest, so it makes sense to breathe from there. However, breathing from your diaphragm is the best way to oxygenate the body, tissues, muscles and more. You should be able to see your stomach muscles expanding and contracting every time you breathe. Never hold your breath when lifting weights. Inhale through the nose on the negative portion of the rep, exhale through the mouth on the positive portion (the lift). Believe me when I say, you will see and feel a significant change for the positive in your training when you breathe properly. Want to know more? Contact me today to create a custom workout and nutrition plan. When all elements are combined, you’ll get reach your fitness goals and feel great.